Add a touch of designer appeal to your gym bag or desk with the S'well 17oz Rose Gold water bottle. 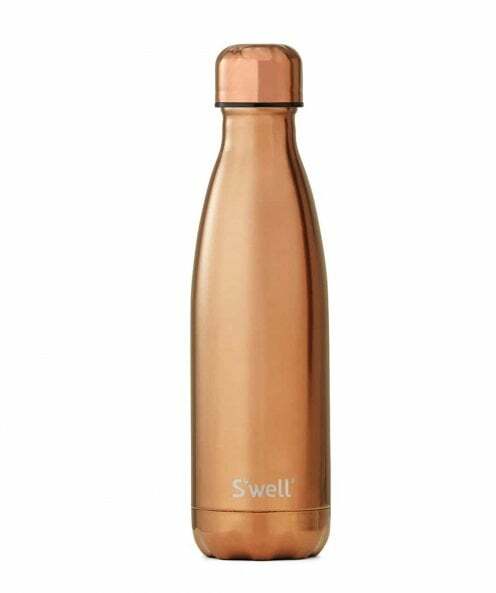 With its reflective, lustrous finish and subtle fusion of colour, this stylish ombré bottle is an on-trend accessory to carry with you wherever you go. This stylish thermos flask is triple walled and features a vacuum sealed screw top fastening, keeping your cold drinks cold for twenty four hours and hot drinks hot for twelve hours.